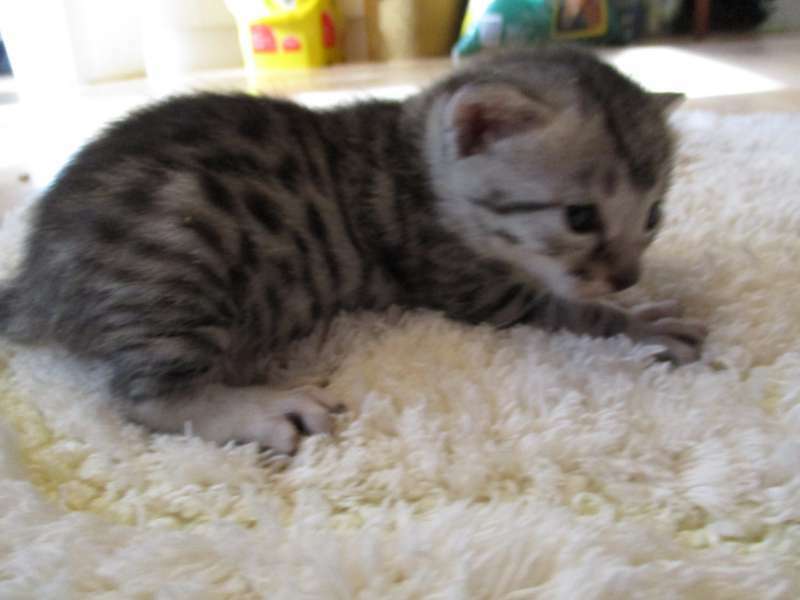 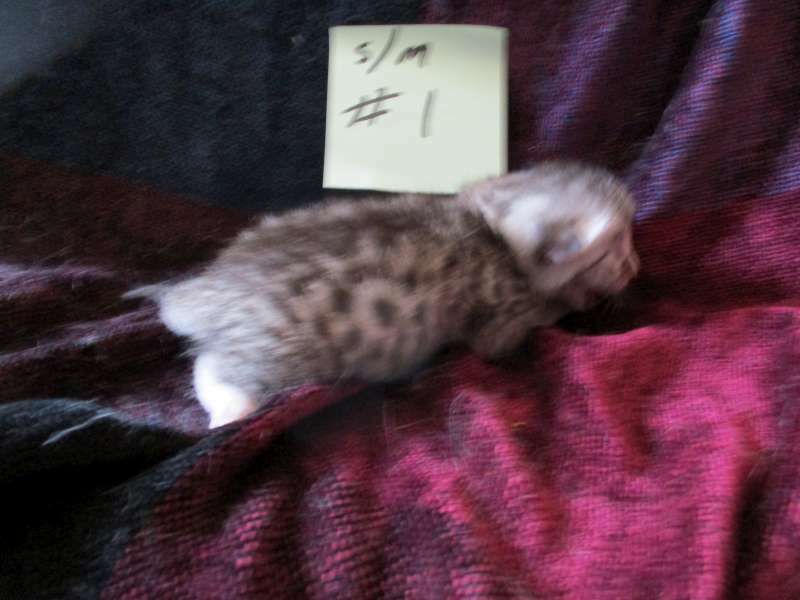 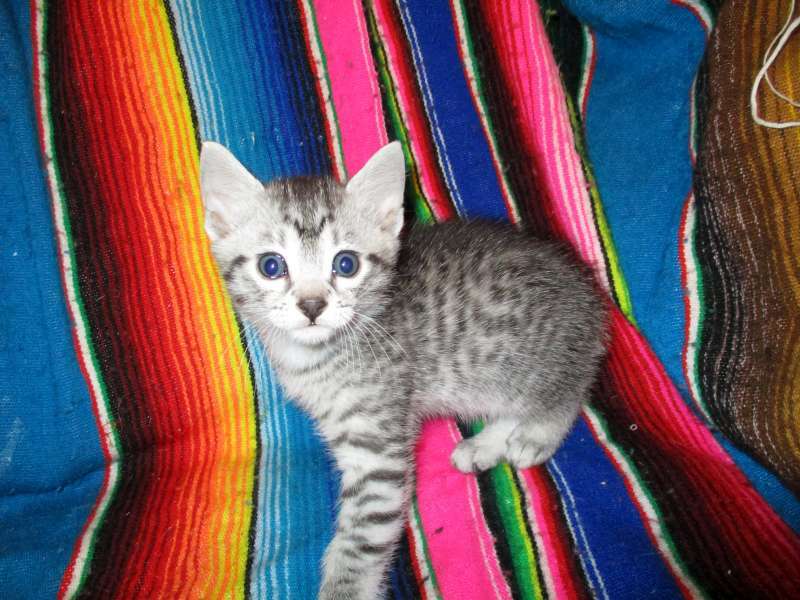 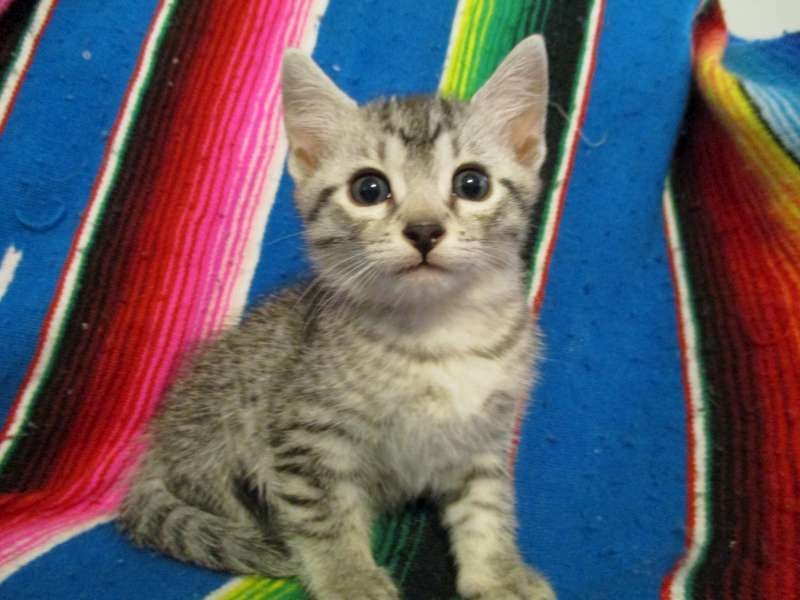 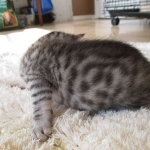 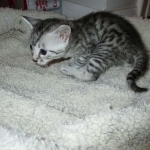 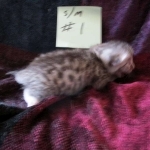 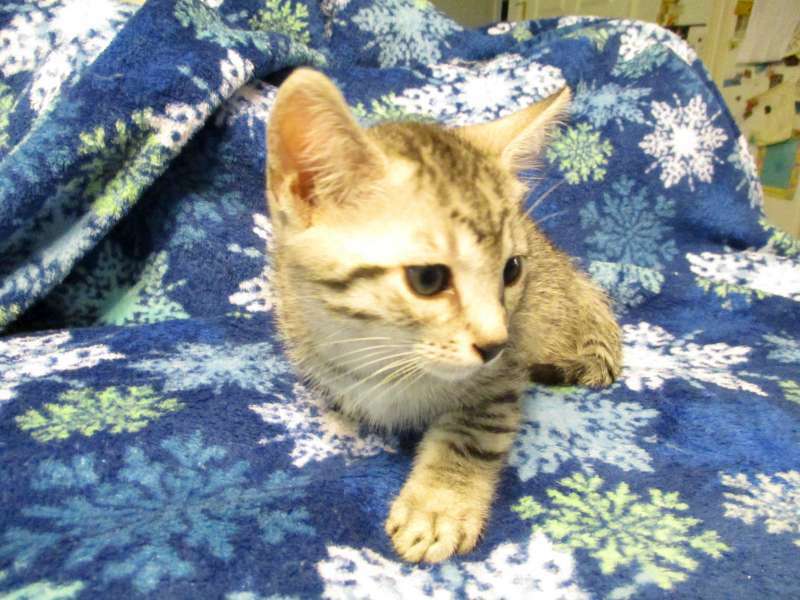 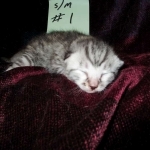 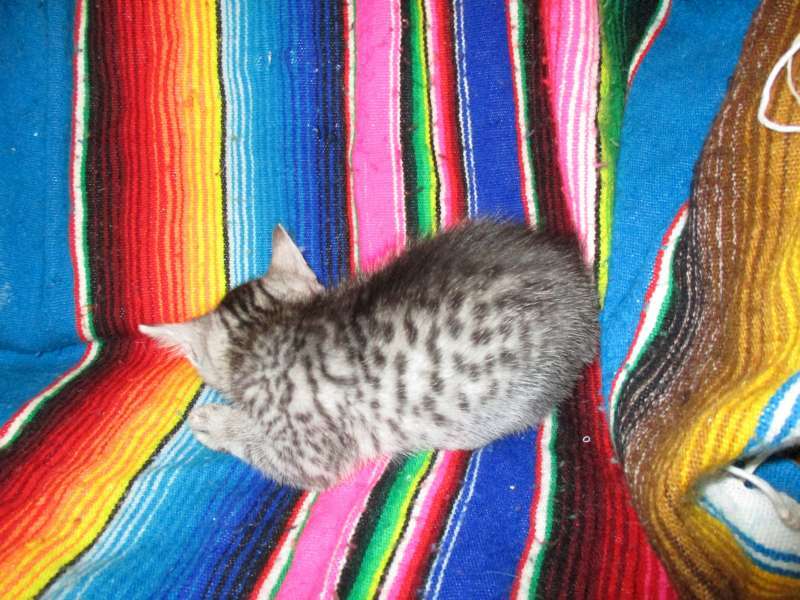 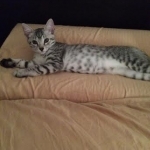 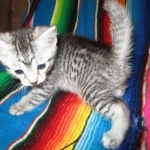 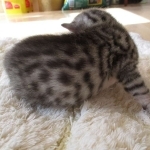 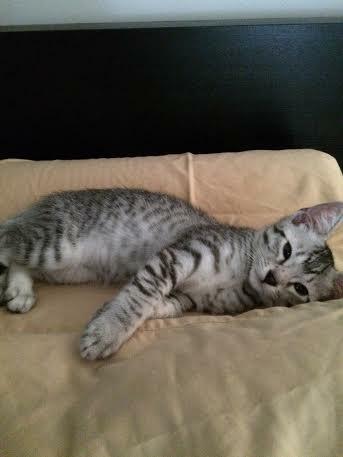 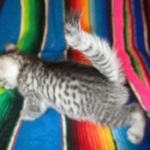 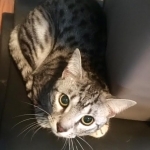 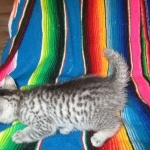 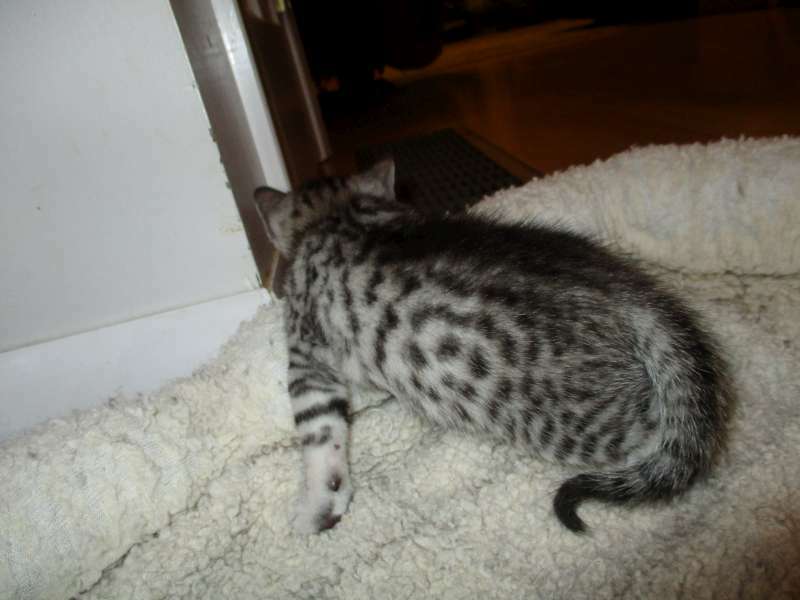 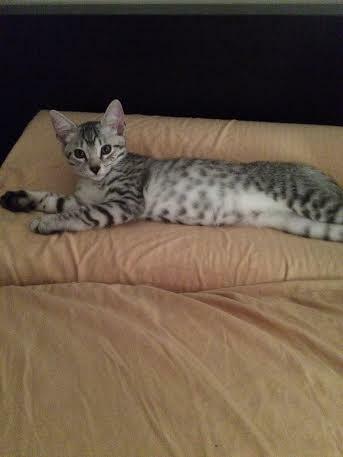 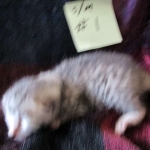 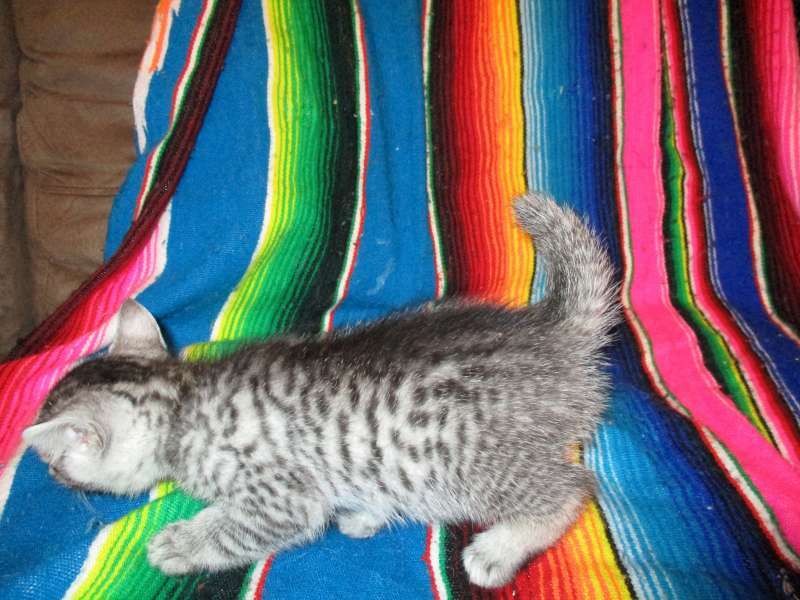 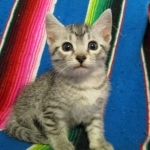 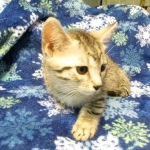 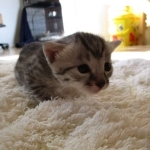 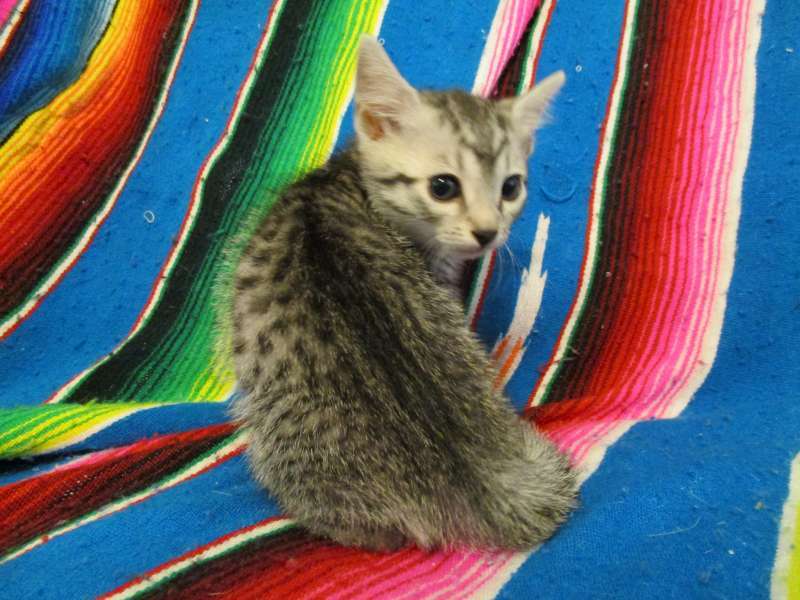 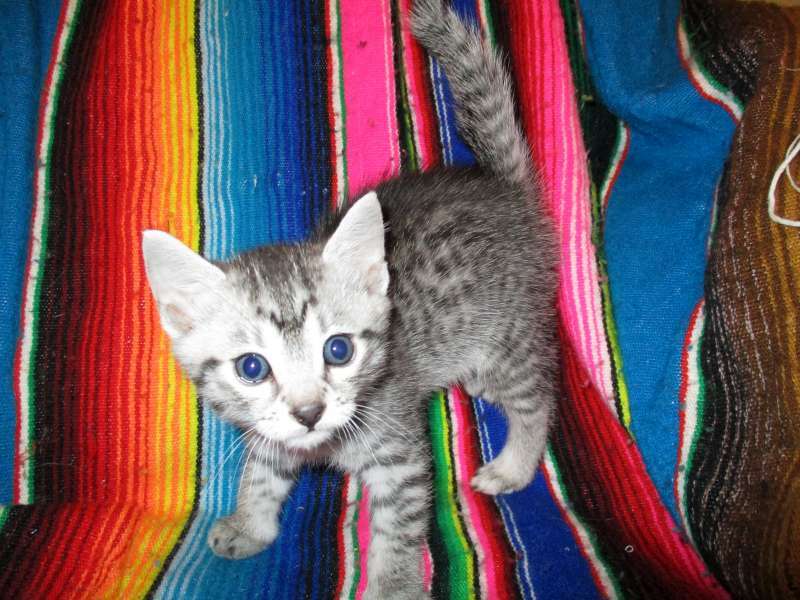 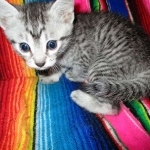 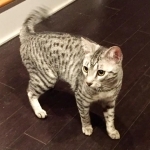 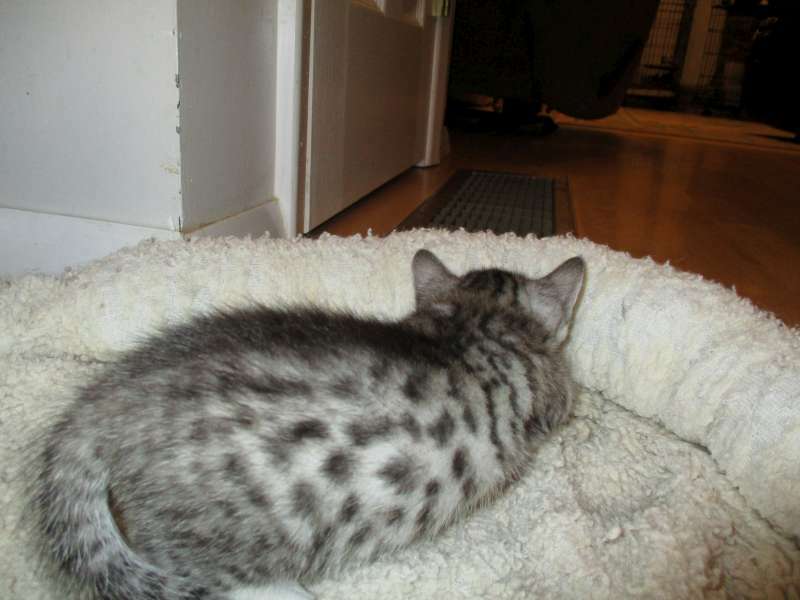 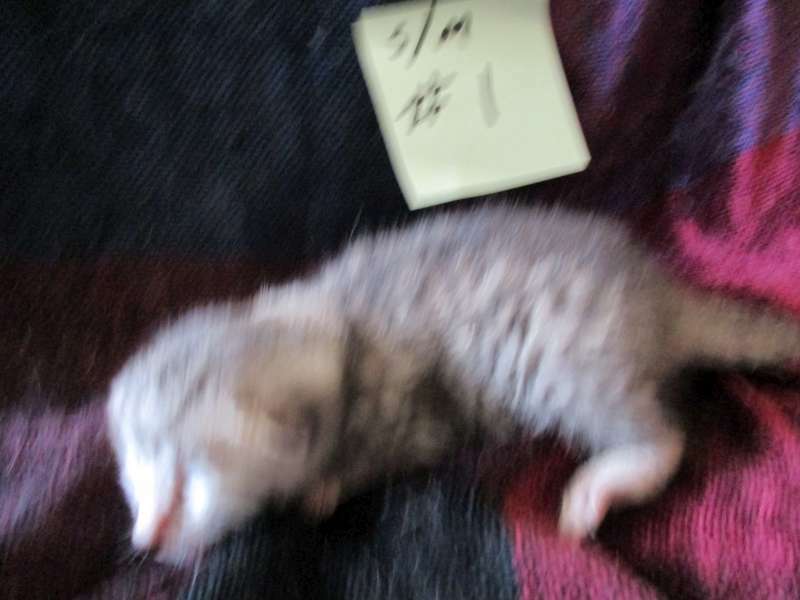 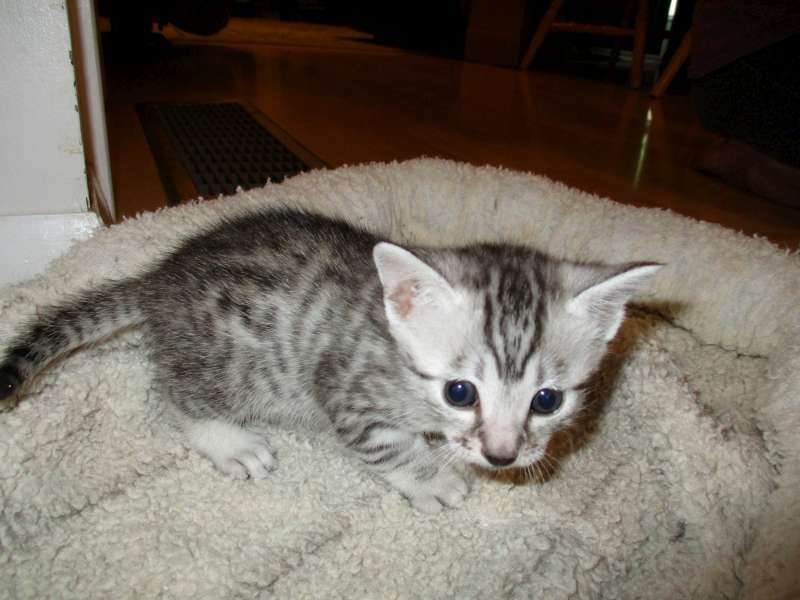 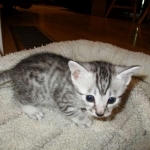 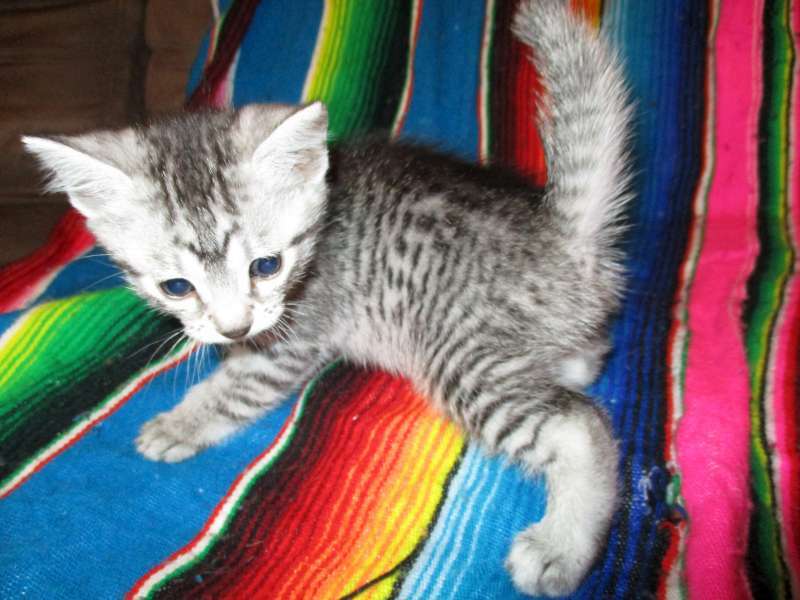 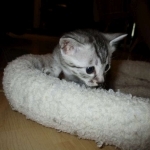 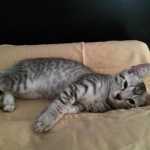 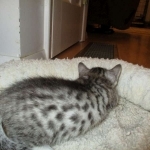 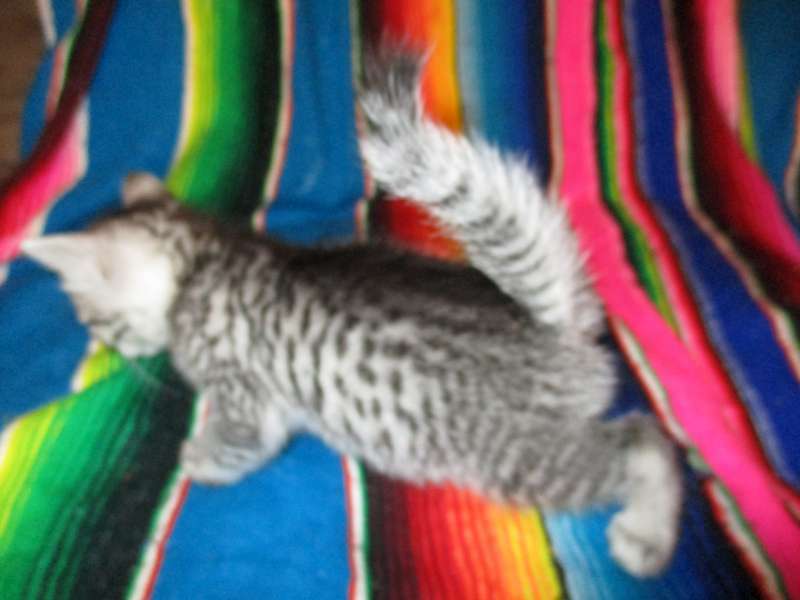 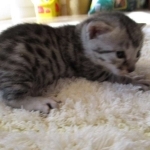 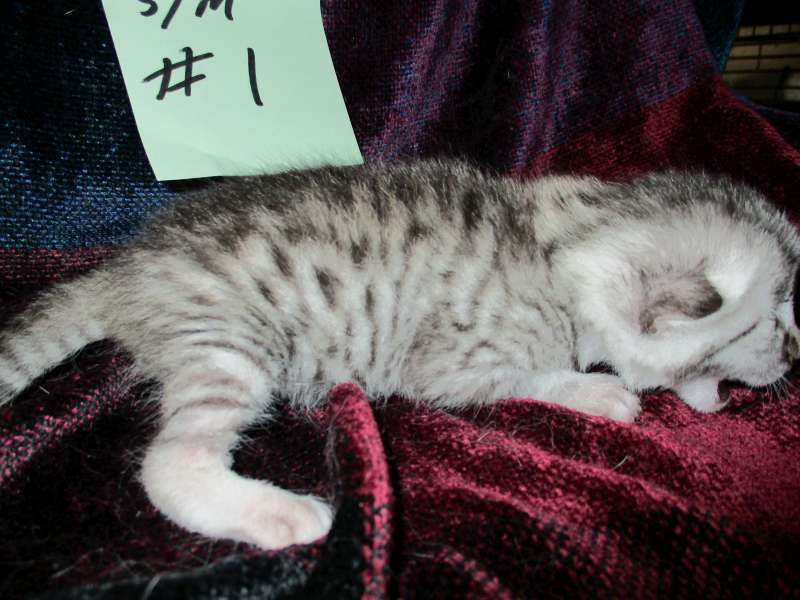 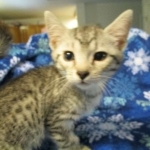 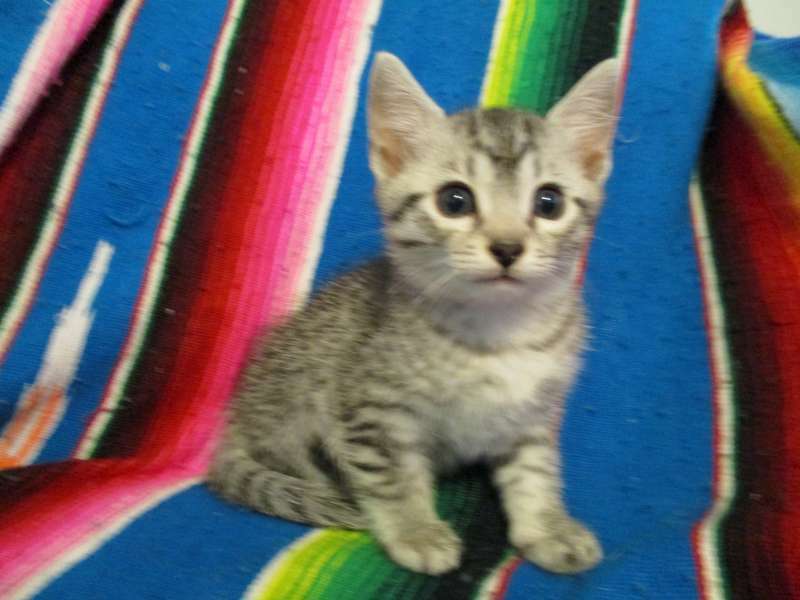 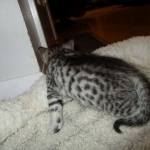 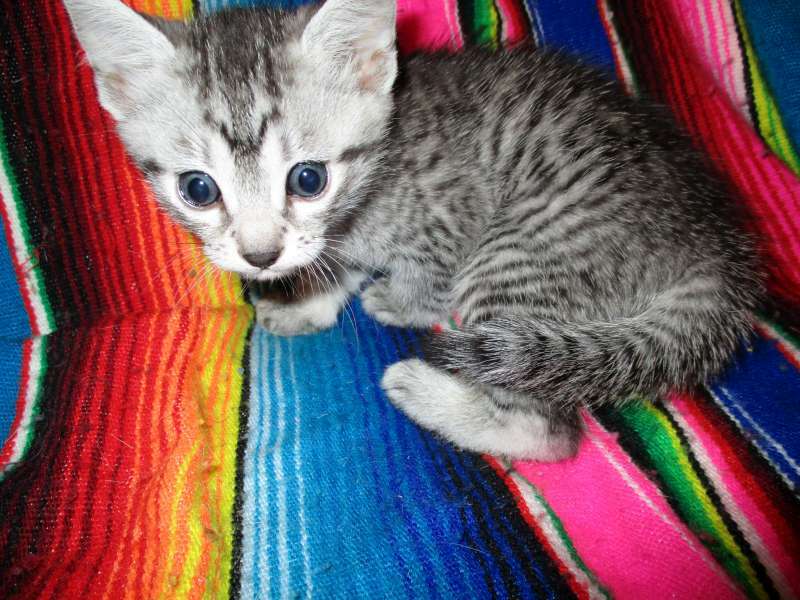 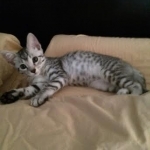 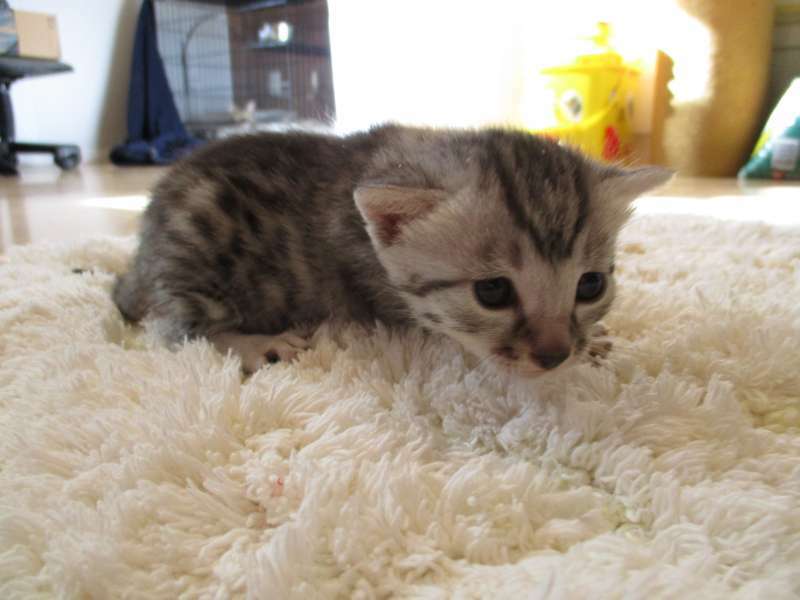 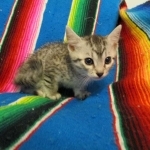 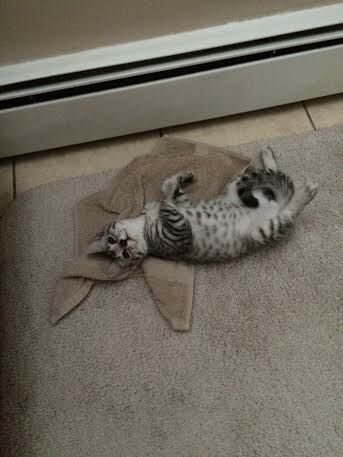 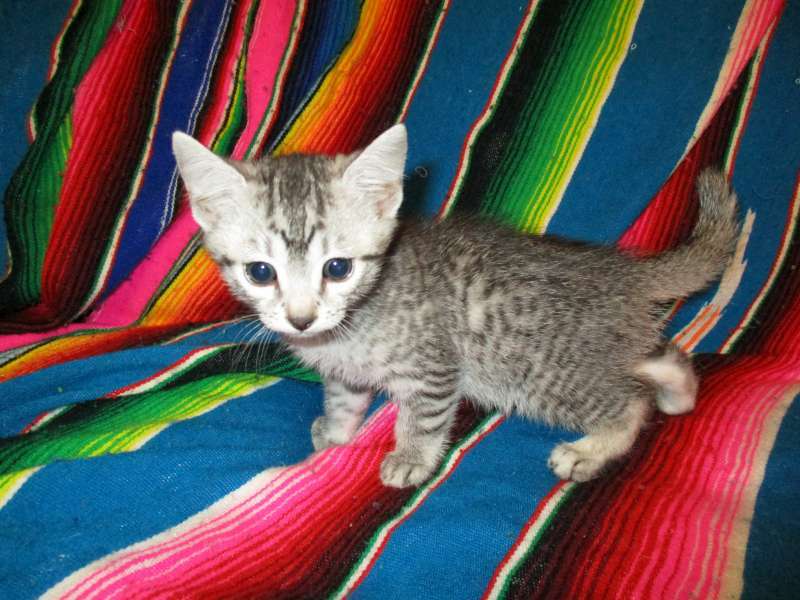 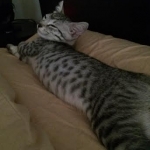 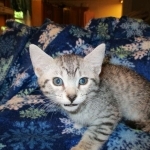 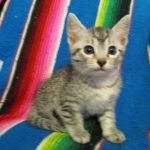 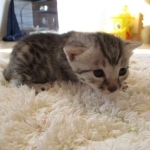 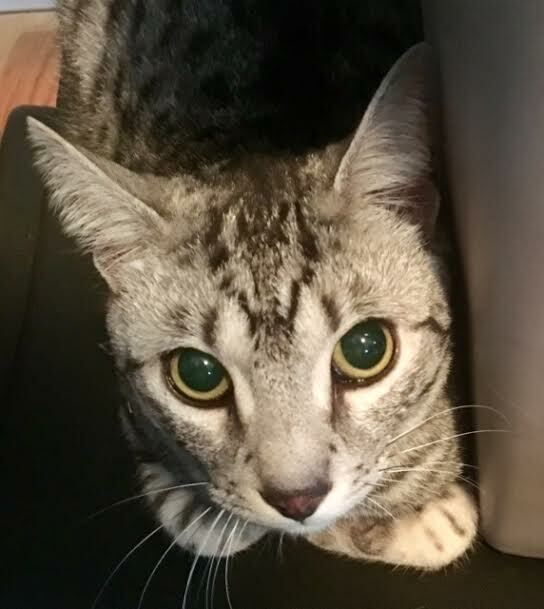 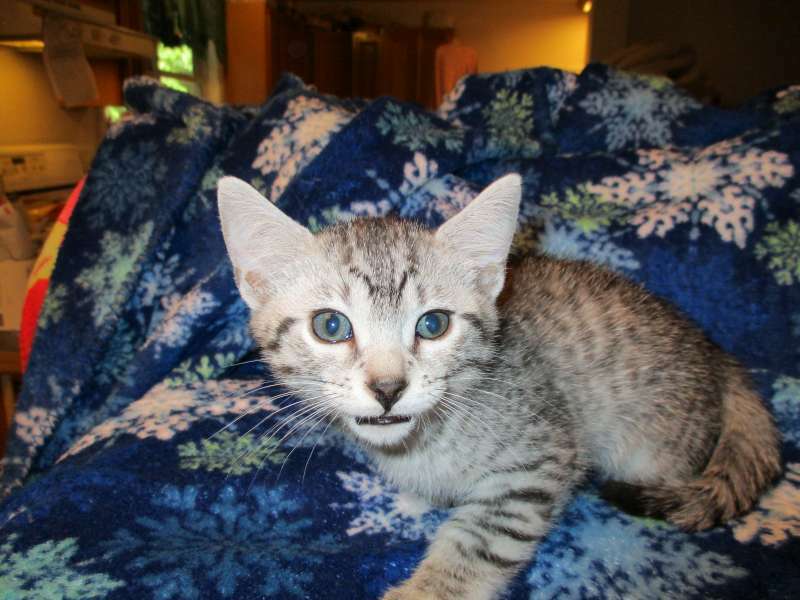 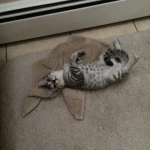 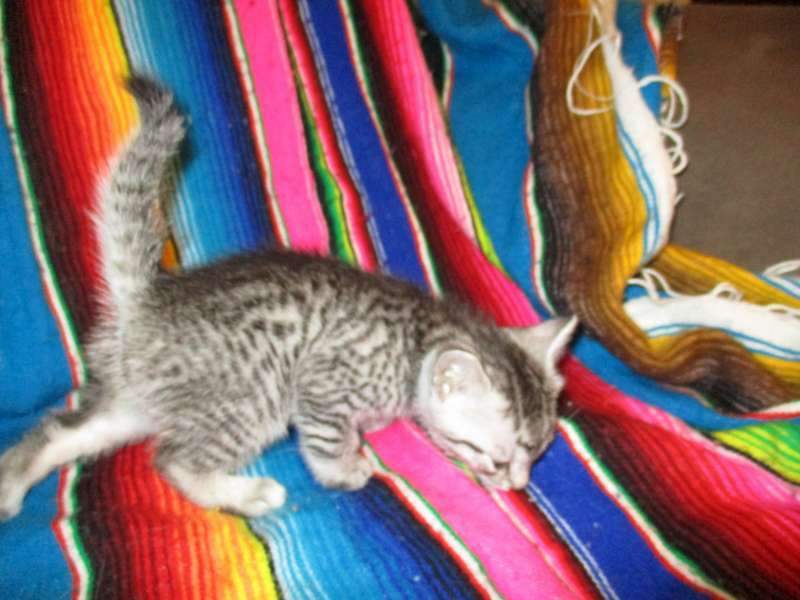 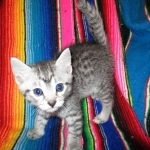 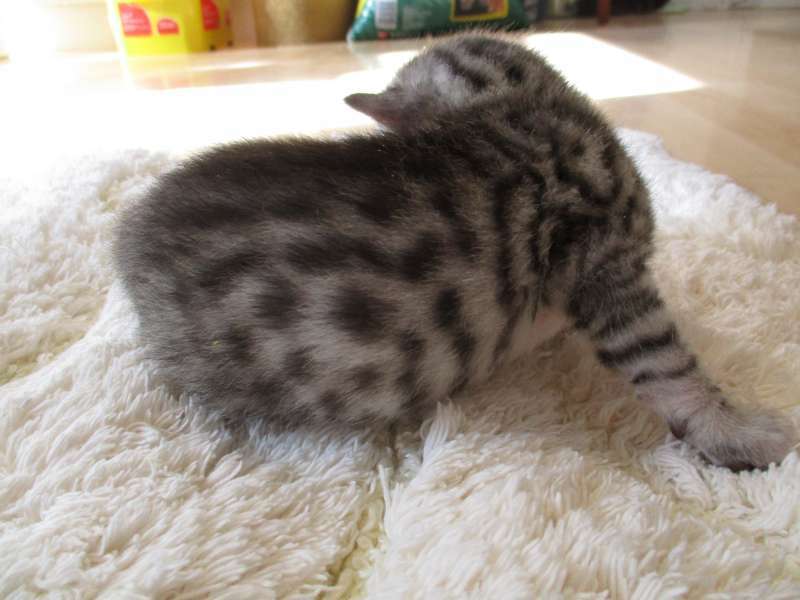 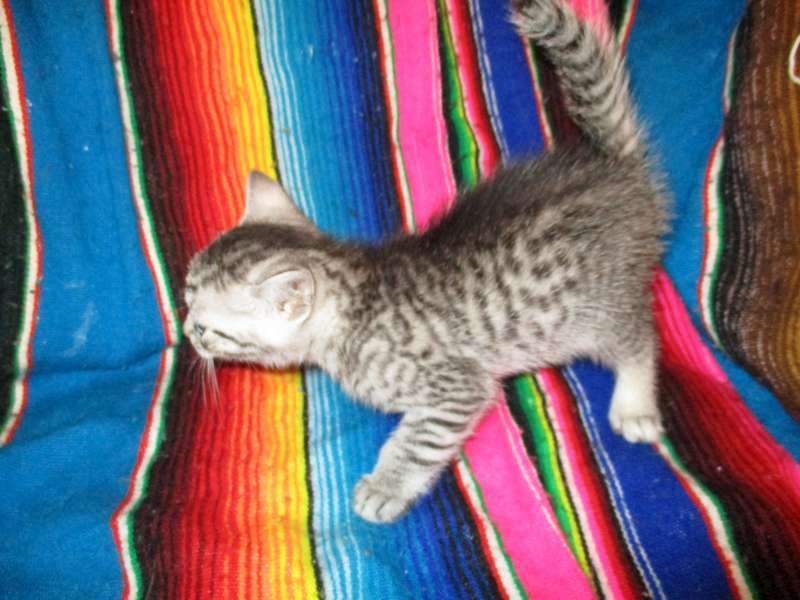 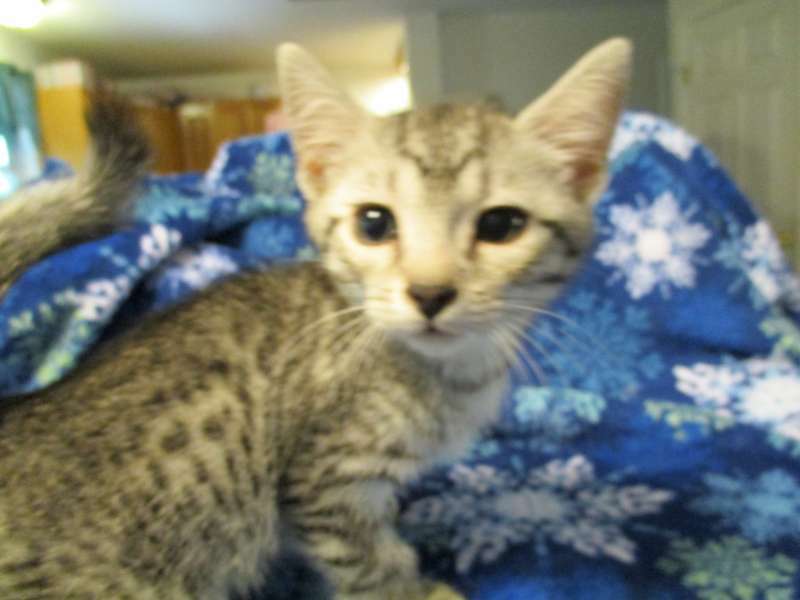 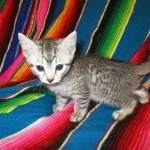 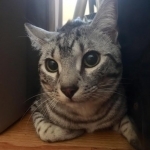 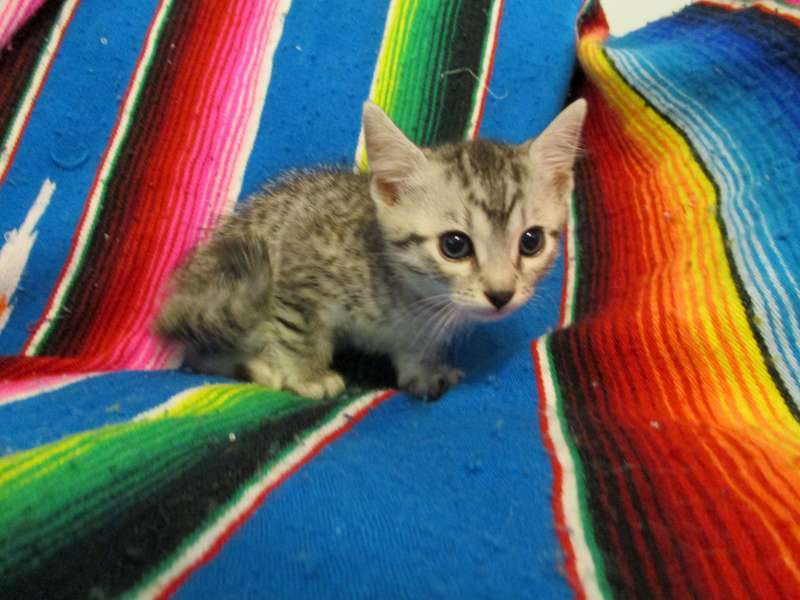 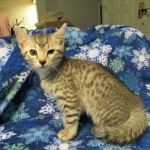 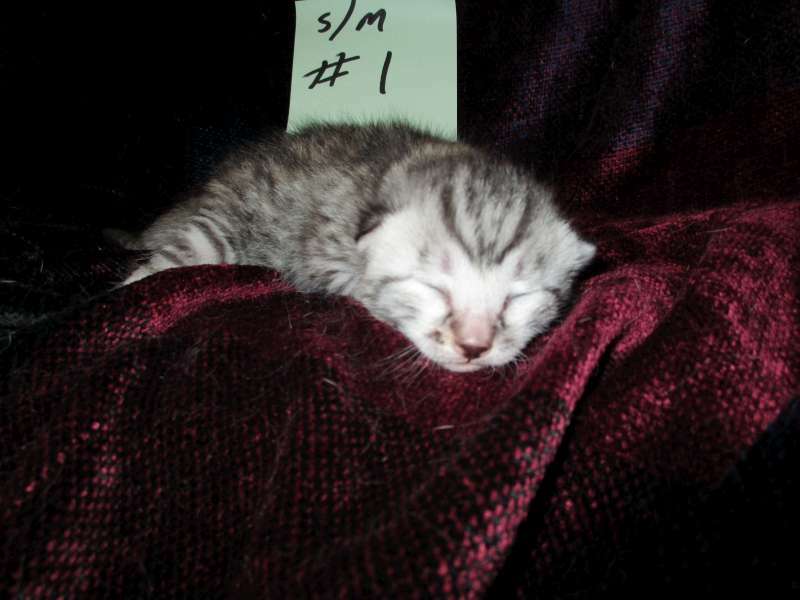 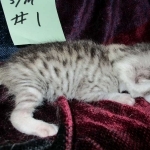 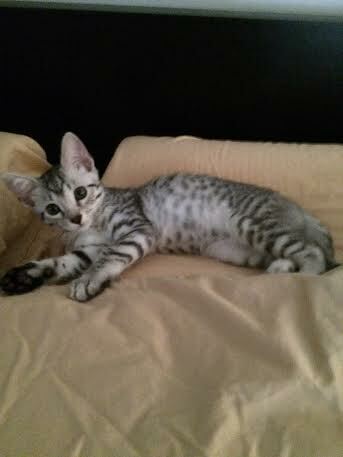 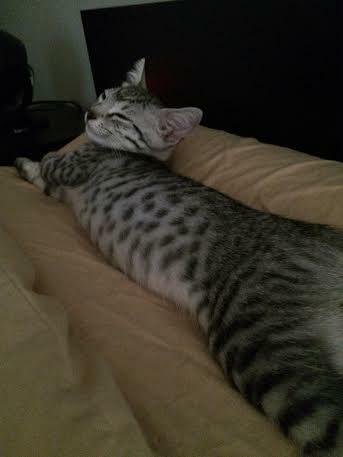 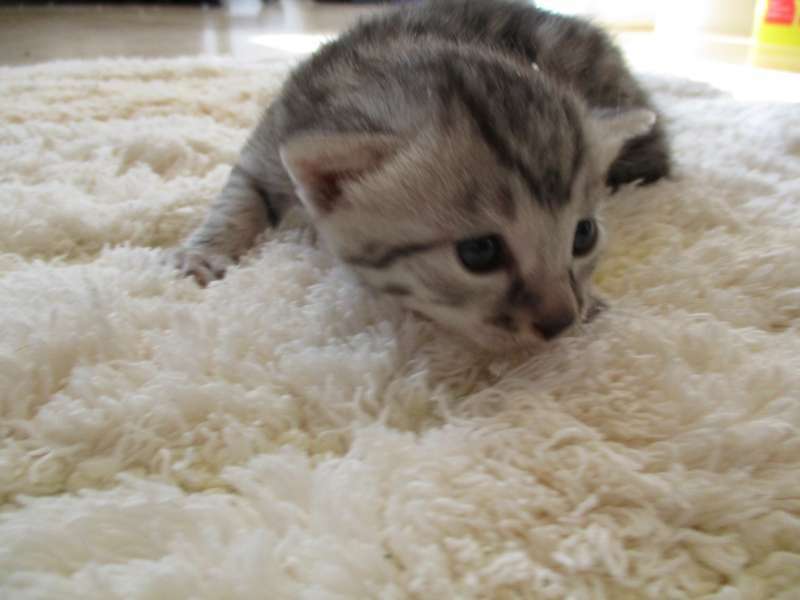 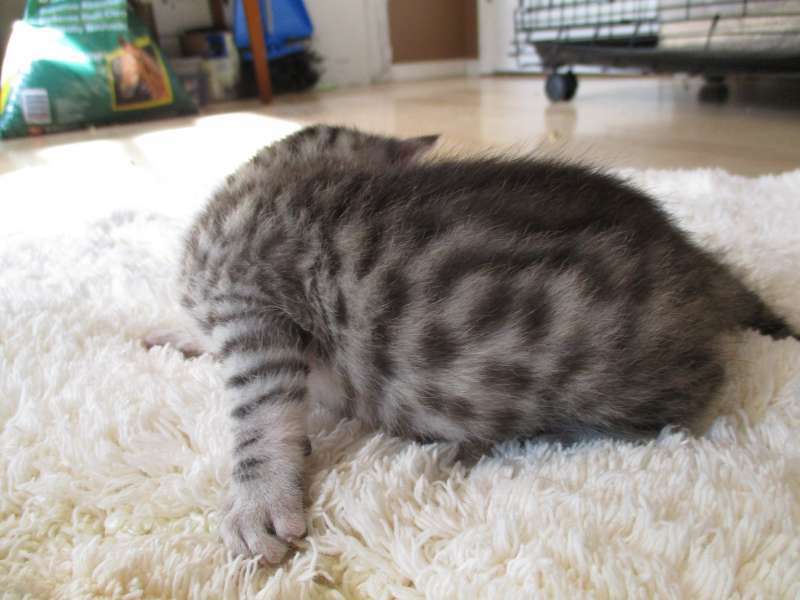 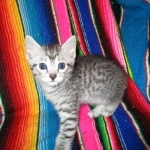 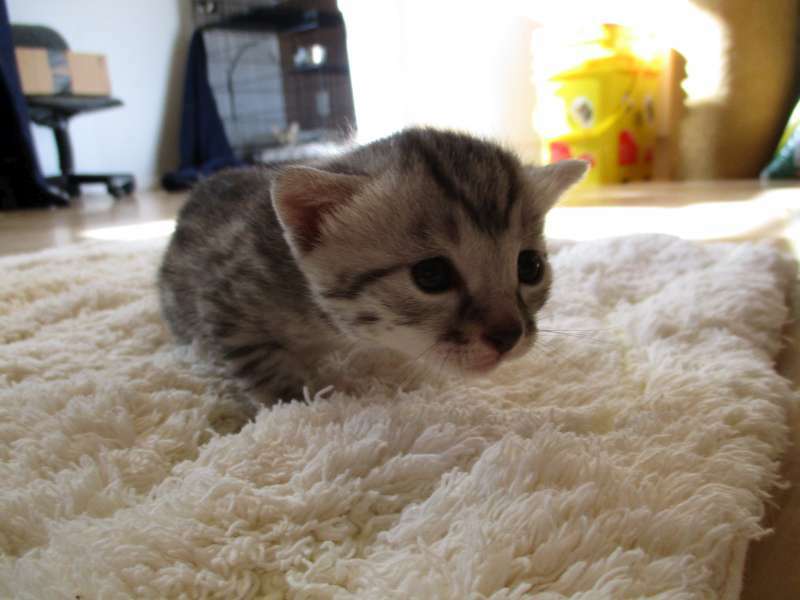 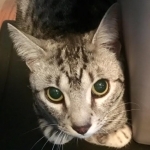 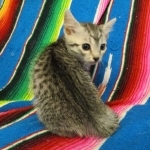 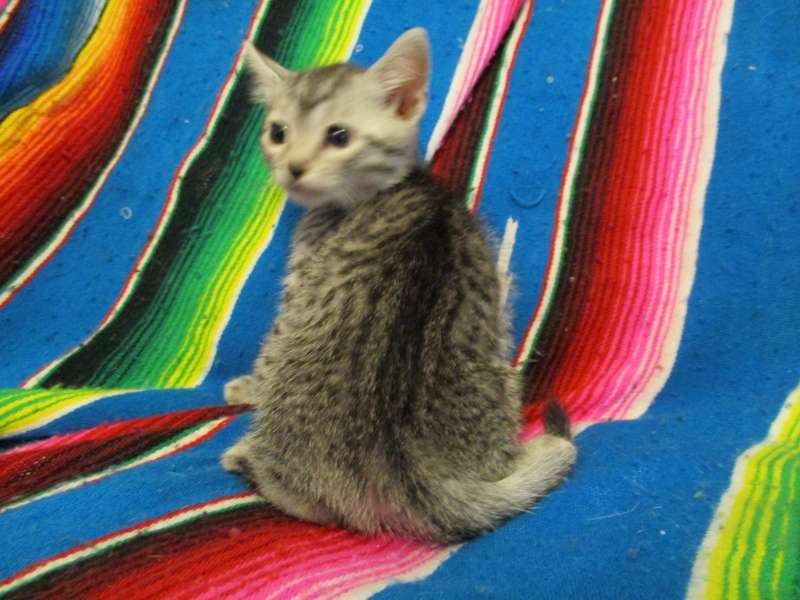 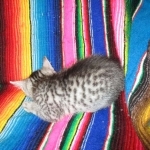 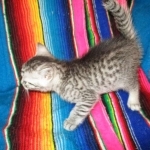 This beautiful Egyptian Mau boy will have excellent contrast in his coat. 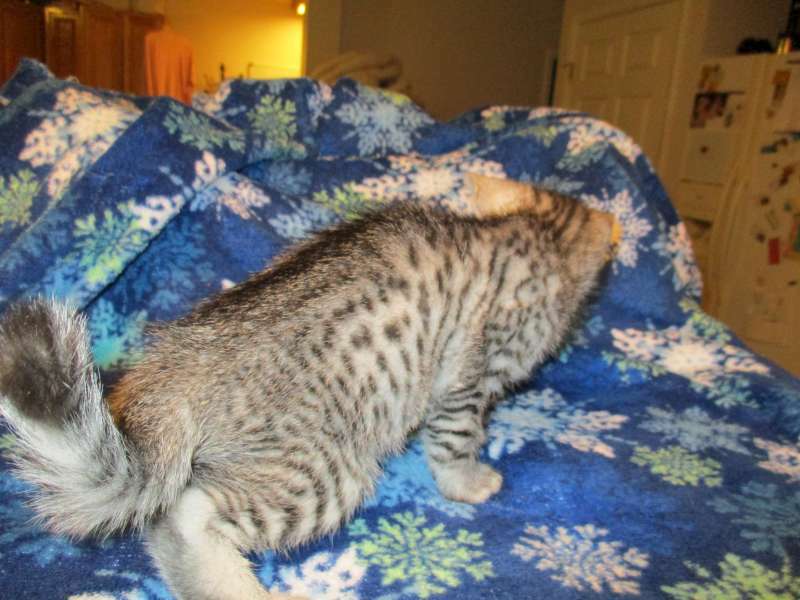 He has a small clink in the end of tail which adds character. 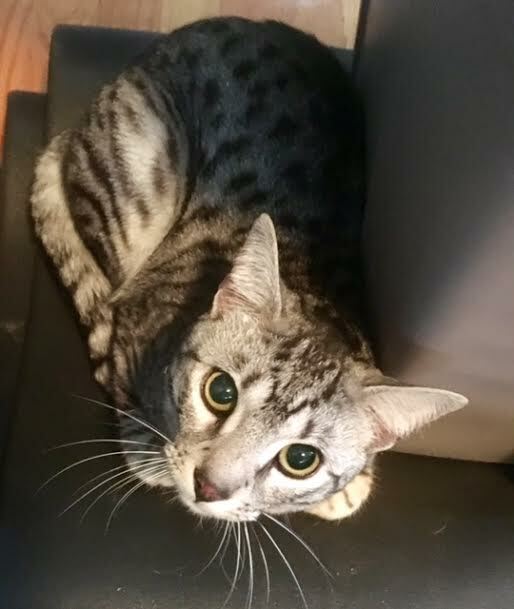 He has been re-homed after his original owner got divorced with Anne and Scott in CT where he joins a true Egyptian Street cat from an international rescue. 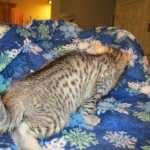 Bushy Tails Dad got divorced and was unable to keep him. 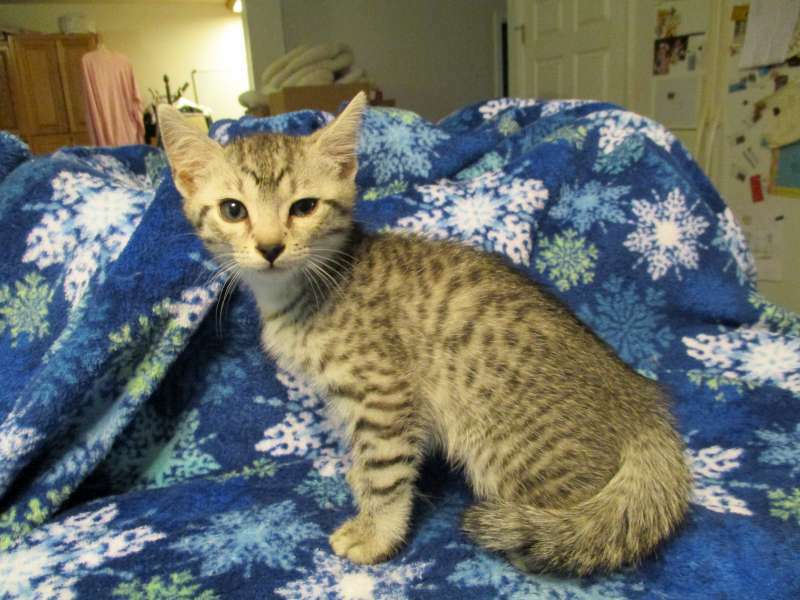 He will have a new sister that is an actual Egyptian Street cat from Egypt. 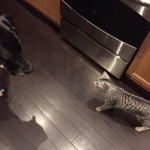 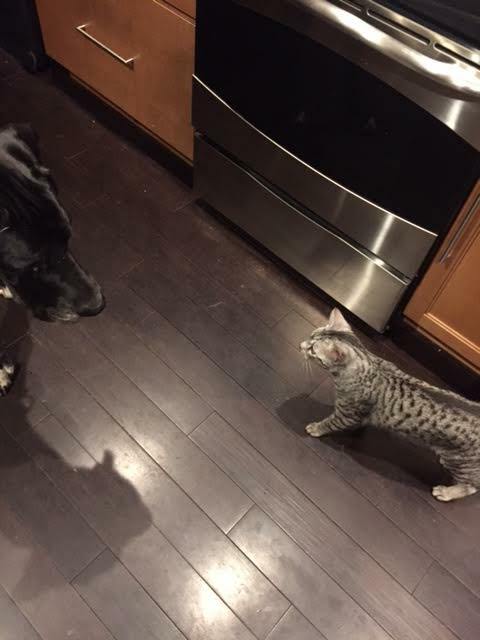 He plays with the female cat that was adopted from us, sleeps with either the cat or the dog in the house too. 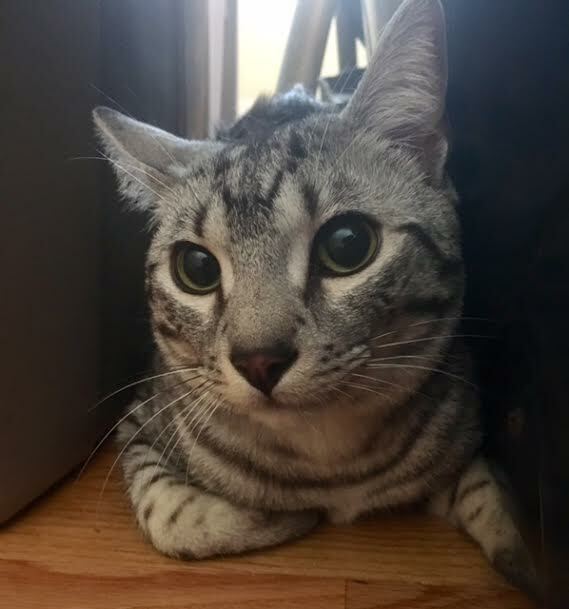 Bushy is doing well in his new home.